There are many omega 3 benefits that we need to consider. 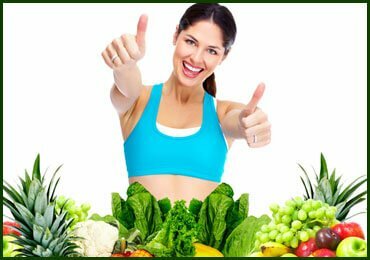 Time and again, we have been advised that we need to cut down on fats but there is one fact that we need to have regularly which is – Omega 3 fats. Omega 3 benefits are immense and related to their anti-inflammatory properties. The most crucial omega 3 fats are EPA (EicosaPentaenoic Acid), DHA(DocosaHexaenoic Acid) and ALA (Alpha Linolenic Acid). EPA and DHA are found in certain fishes and ALA is found in nuts and seeds. The omega 3 benefits have been proven to be effective in the treatment of many health conditions. Now let us see what are the health benefits of Omega 3. The risk factors of heart attacks and strokes are reduced in people having good amounts of Omega 3. Omega 3 fats are beneficial for the heart by reducing the triglyceride levels and blood pressure, improving the HDL cholesterol levels and keeping the blood platelets from clumping together and hence preventing the formation of blood clots. Omega 3 also reduces the production of substances released during inflammation. 10 Super Foods for Healthy Heart That You Must know! With increasing stress in life, people have been experiencing anxiety and depression. Anti-depressant drugs are available over the counter but with increasing side effects. Omega 3 fats have been beneficial in alleviating symptoms of depression without any side effects. Studies have shown that there hav e been lower levels of depression and anxiety where fish consumption is high. Supplementing with Omega 3 fatty acid helps to decrease the neuro–inflammation and even decrease the levels of pro-inflammatory substances. Asthma has been the leading cause of death among the children. Dietary omega 3 fatty acids improve the resistance towards asthma by reducing the immune response towards asthma and allergy. 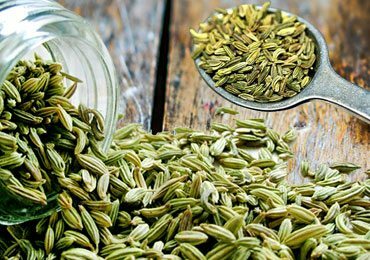 It reduces the eosinophil activity and improves the function of the lungs and prevents symptoms including coughing, sneezing, and runny nose. Not only the person themselves gets benefitted even the mothers, in a pregnant stage, may have an influence on consumption of omega 3 fats. The children of mothers who took Omega 3 polyunsaturated fatty acids during the pregnancy stage are less likely to suffer from asthma. DHA, one of the types of Omega 3 fats, is the structural component of the retina of the eyes. If there is a deficiency of DHA, then vision problems arise. 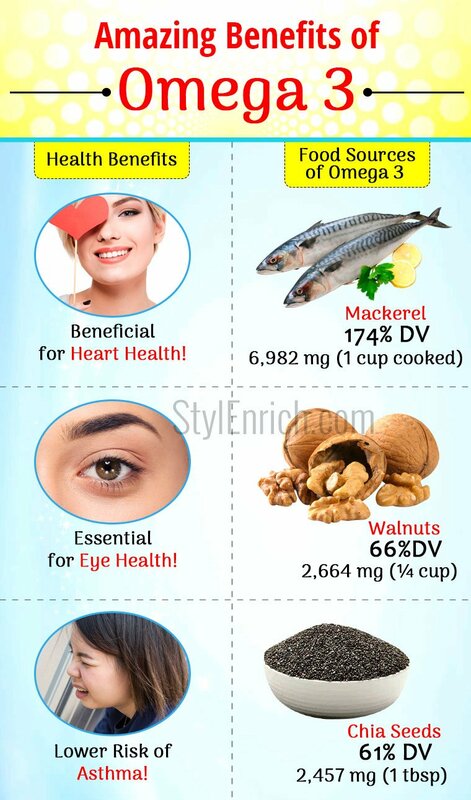 Getting enough of Omega 3 is essential to prevent macular degeneration, which can cause vision impairment and blindness. It is always advisable for kids with or without ADHD to consume enough Omega 3 fatty acids. Either by having supplements or having fatty fish twice a week is advisable to add to the Omega 3 supply. Omega 3 fats are the building blocks of the brain and are found in the cell membranes of the brain and facilitate the transmission of neural signals. Fish oil helps to improve the symptoms of ADHD. It enhances the mental skills, learning ability, remembering, and learning. However, research is still going on regarding the effectiveness of Omega 3 related to brain function. It is always recommended to have a healthy, balanced diet which includes fish that is rich in omega 3 for people who are at the risk of developing rheumatoid arthritis or rather any other inflammatory diseases. Rheumatoid arthritis is an autoimmune disorder that causes the immune system to attack against the joints synovial capsule and other soft tissue causing inflammation and pain in the joints. Patients suffering from arthritis needs to consume good amounts of fish oil for the omega 3 to work against it. EPA and DHA reduce the inflammation causing swelling and pain by suppressing the body’s immune system. Omega 3 has been the first choice for the reduction of triglyceride level considering its wide availability and low cost. Triglycerides, when present in high levels, interact with other particles in the blood and cause distorted size and function. Omega 3 helps in reduction of the triglycerides by reducing the production of VLDL by the liver and accelerating the elimination of chylomicrons and VLDL from the blood. Combining fish oil rich in Omega 3 fatty acids with low carbohydrate diet is always the best means of reducing triglyceride level. 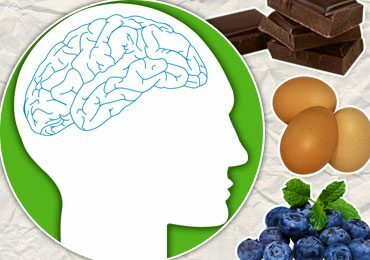 Though not certain yet, but it has been believed that omega 3 has positive effects on gradual memory loss linked to aging and help to protect against Alzheimer disease and dementia. Apart from these important benefits, Omega 3 helps in supporting weight loss, healthy pregnancy and athletic performance and thickening of hair and skin. Now that’s quite a number of benefits and effective. To achieve these benefits, we need to know from where we get Omega 3 fats or the sources of Omega 3. Omega 3 is essential fatty acid as the body cannot produce them on their own but we need to rely on Omega 3 sources in our diet to supply the beneficial compounds. The preferred sources of omega 3 are DHA and EPA that are present in seafood like salmon and sardines and ALA is found in plant sources like nuts and seeds. Make sure you have 1000 milligrams per day of EPA and DHA and 4000 milligrams per day of total omega 3 s combined together. When we read the food labels on the products available in the market, we come to know of omega 3 being artificially added to baby foods or protein powders. It is always advisable to obtain omega 3 fats from natural, whole foods like wild caught fish. If you remember, when we were small, we use to have a nutritional supplement over the counter called the cod liver oil in capsule form. This capsule contains cod liver, including fish oil and other ingredients. This capsule contains omega 3 fatty acids along with important vitamins that promote heart and musculoskeletal health. I think it’s time we start having this capsule again for a better health, what say! The other natural sources of Omega 3 fats that are present in ALA forms are hazelnuts, cashew, Brussels sprouts, watercress, kale, spinach and oils like mustard oil, walnut oil, and hemp oil. Although ALA-containing foods are not as effective as EPA and DHA, these foods should still make a regular appearance in our daily diet. Though not always ideal, as we say we need to consume natural sources of Omega 3 rich foods, you will also find many foods that are being fortified with these fatty acids like pasteurized dairy products, fruit juices, bread, eggs, soy milk, yogurt, weight loss drinks and baby foods. For many people, just having fish oil supplement may be enough, but make sure it contains EPA and DHA content. The vegetarian options contain Omega 3 in the ALA form. Of course, there is one exception called algal oil which is suitable even for the vegans. Please have these supplements with meals that contain fats as fats increase the absorption of Omega 3. Don’t buy Omega 3 in bulk as it tends to get perishable. The importance of the Omega 3 fats is such that it is always mandatory to include in our daily diet, either in natural form or in supplement form. But in the case of supplements, make sure you choose wisely. You can always consult a doctor or nutritionist in the case of queries regarding Omega 3 sources and availability of supplements that are rich in Omega 3. 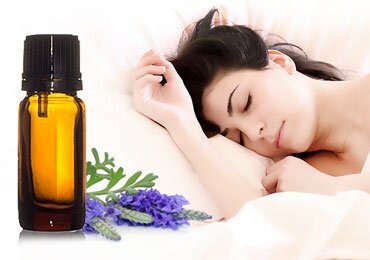 Best Essential Oils for Sound Sleep! Amazing Benefits Of Drinking Warm Water! 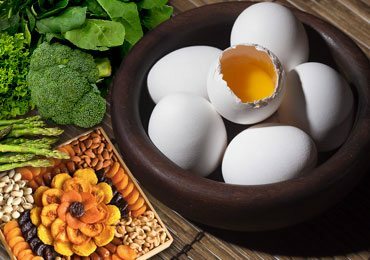 Vitamin E Benefits : The Overlooked Nutrient and Its Extensive Benefits! Advantages Of Going For A Morning Walk Daily! 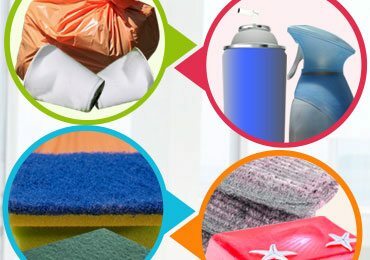 Signs That Show Your Body Is Toxic! Best Exercise Regimes That Won’t Make You Bore!